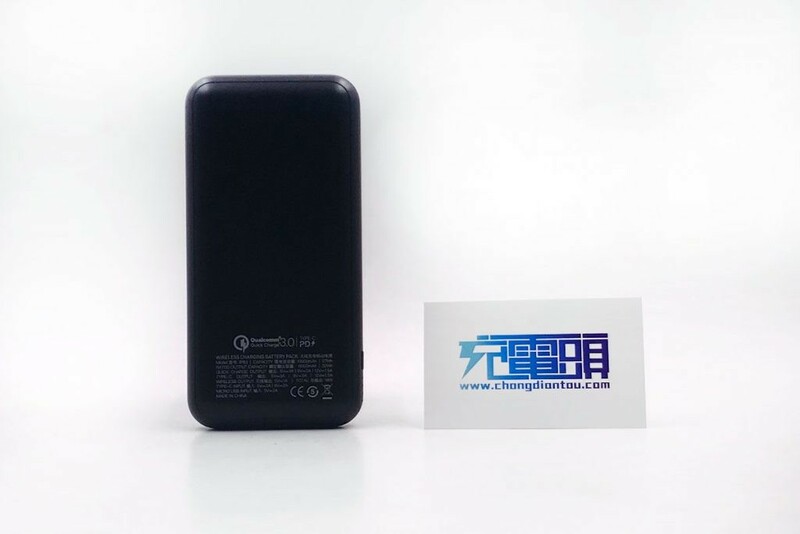 MOMAX Q.Power 3 (IP83) 10,000 mAh Portable Wireless Charger Unboxing - 网友心声 - 充电头网论坛 - Powered by Discuz! 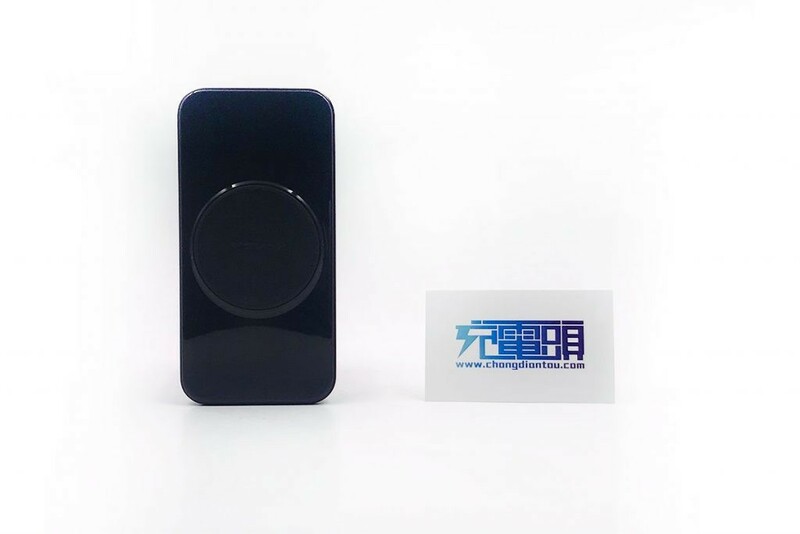 Hong Kong’s lifestyle gadget brand MOMAX has launched in recent years made a name for itself with its trendy mobile accessories. 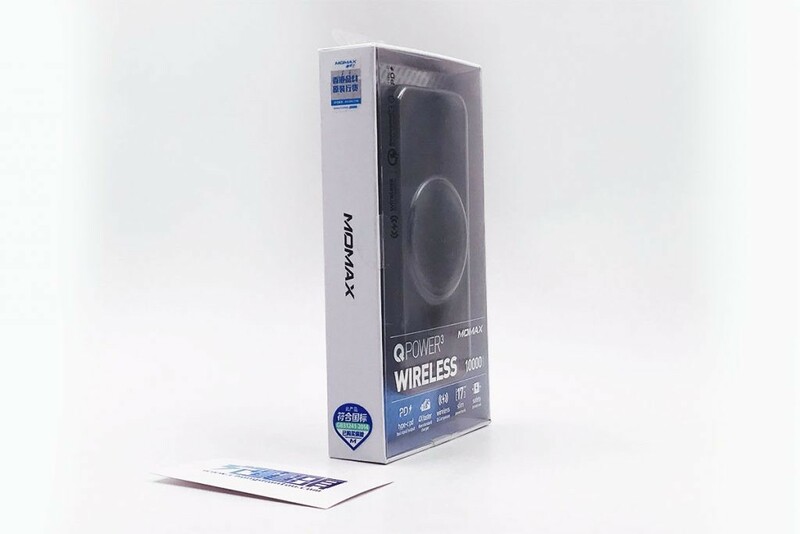 Recently it launched a wireless portable charger — MOMAX Q.Power 3 — so of course we here at ChargerLab got our hands on it! 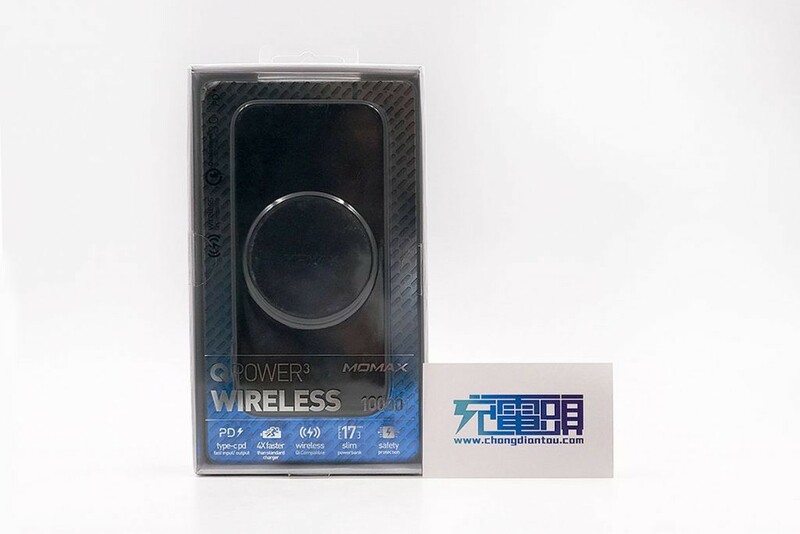 The packaging is pretty simple and bare bones — you see the charger clearly and the words wireless in all caps. 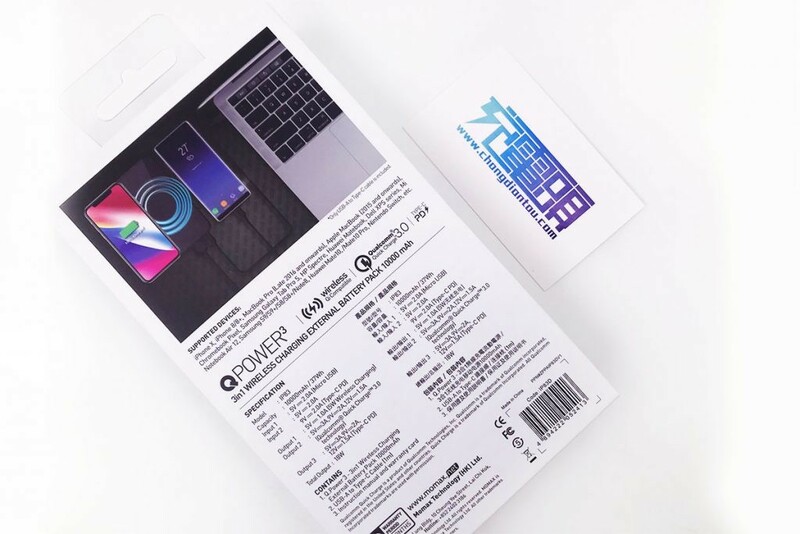 The back of the box is made of cardboard and printed with a picture that is being used to wirelessly and wiredly charge the iPhone, Android phone and laptop. This highlights the wide compatibility of the products. There are some models that are supported on the bottom of the picture. 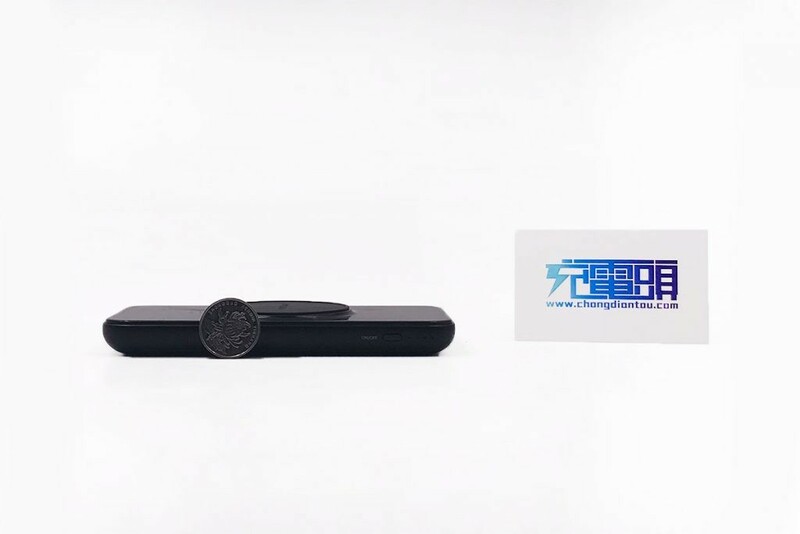 The middle of the box is also printed with product specifications and packaging contents, in Chinese and English. On the side of the box you see a security label GB31241-2014, and a sticker saying this is an authentic Hong Kong product. The charging port is USB-A to Type-C. 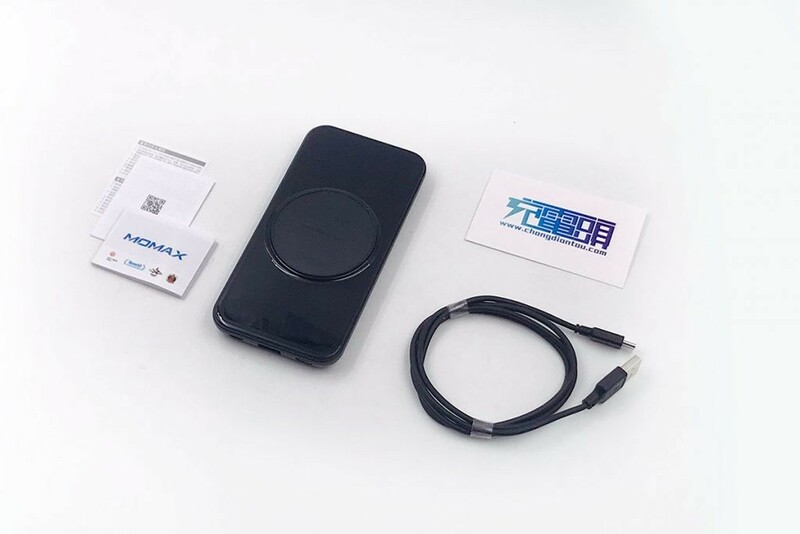 The overall mobile power is made of PC material, with a mirror effect on the front, a wireless charger panel in the middle, a leather material, and a “MOMAX” brand logo. 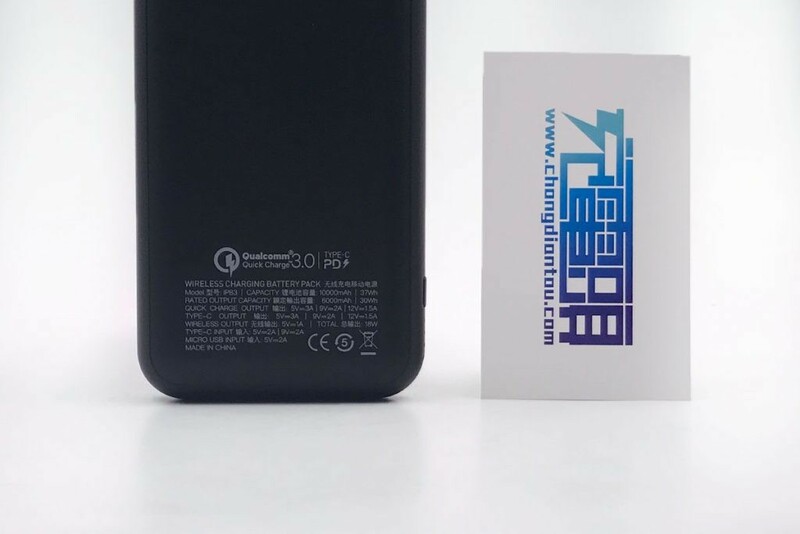 Model: IP83, lithium battery capacity: 10000mAh, QC output 5V/3A or 9V/2A or 12V/1.5A, TYPE-C output 5V/3A or 9V/2A or 12V/1.5A, wireless output 5V/1A; TYPE- C input 5V/2A or 9V/2A, Micro USB input 5V/2A. The power activation key is on the left side of the body and there are 4 power indicator lights next to it. The thickness of the body is about the same as the diameter of a dollar coin. 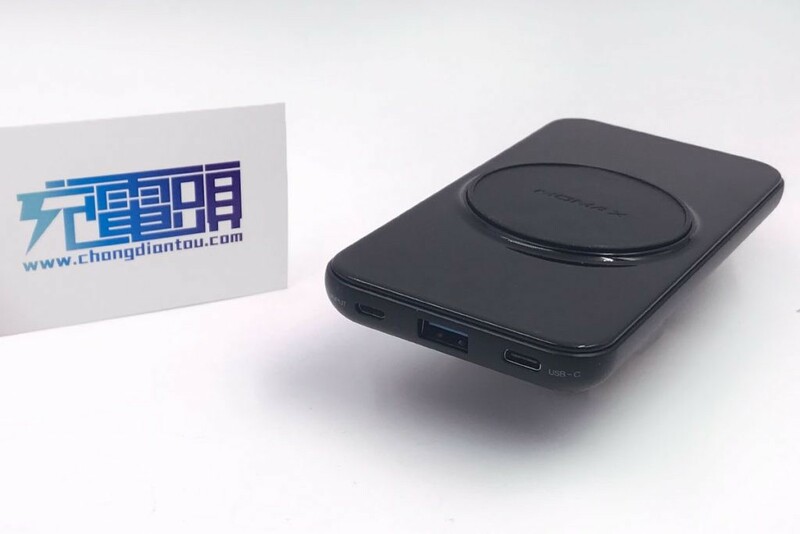 The main body is equipped with three interfaces at the bottom, which are respectively an output port: USB-A and two input ports: Micro USB and USB Type-C. Thanks to two different input interfaces, the line carrying cost is greatly reduced. 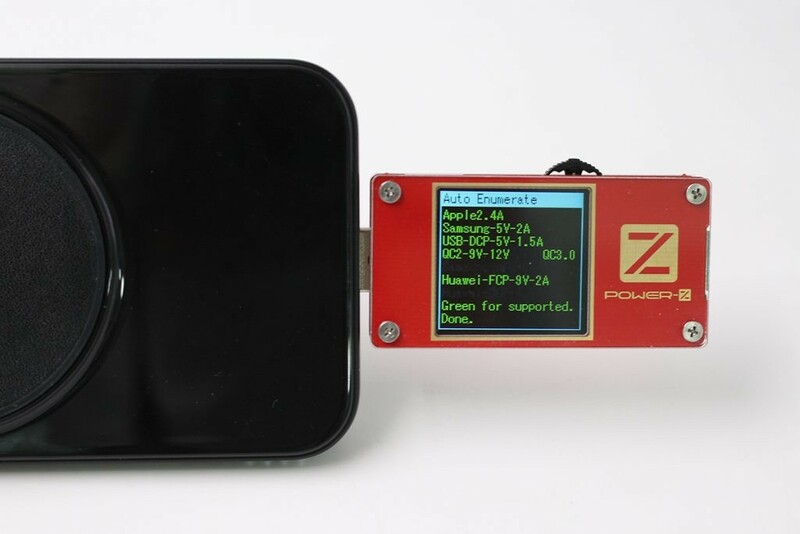 In the case of charging, the phone can also be wirelessly charged using a Charger POWER-Z KT001 with a measured voltage of 5.2V, a current of 2.7A and a power of 14.1W. 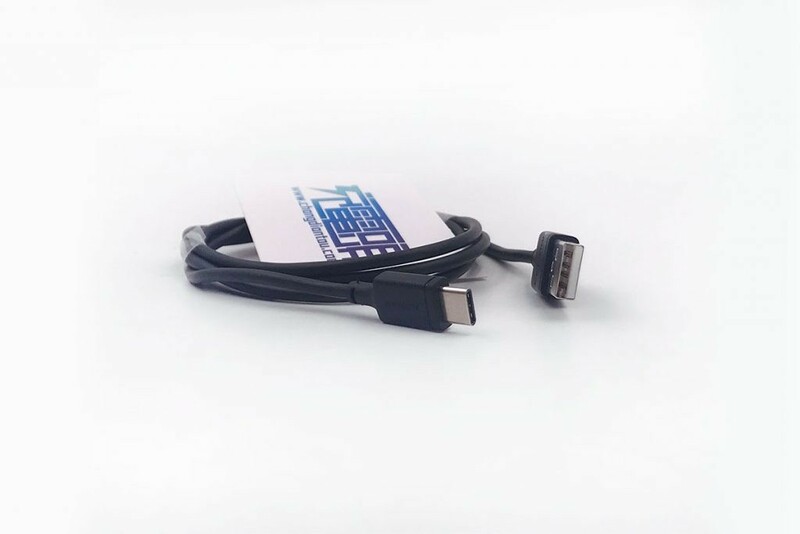 The USB-A port supports QC2.0, QC3.0, Huawei FCP, and Appele 2.4A, USB DCP, and Samsung 5V2A protocols. 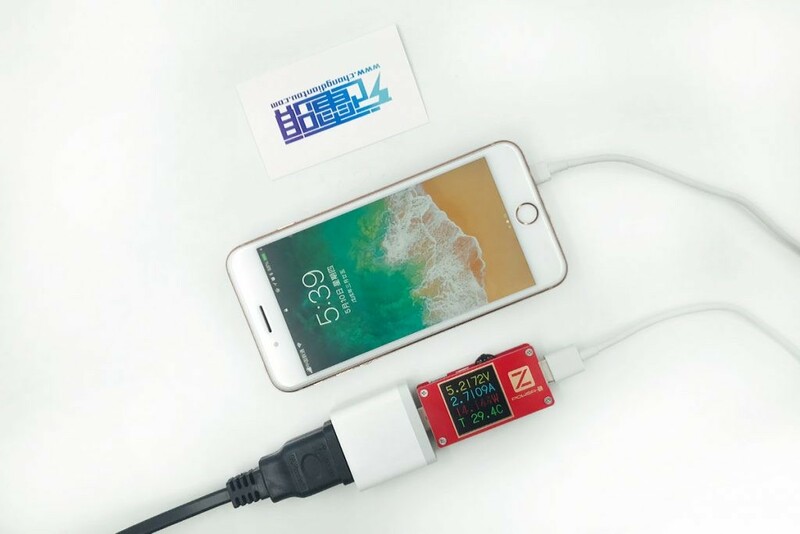 USB-C port also supports USB PD 3.0 protocol, with 5V, 9V, 12V third gear voltage, maximum output power is 18W.